Readers, I’m managing to get myself back into a kitchen routine again and I’m determined to stay healthy. I’ve been really interested in gluten free dishes this year: not just because I have a close friend and a Godmother who are both coeliac but just to see if you can make great tasting food without having to throw gluten in there. I’m all about oriental style dishes since coming back from China… more about that here. 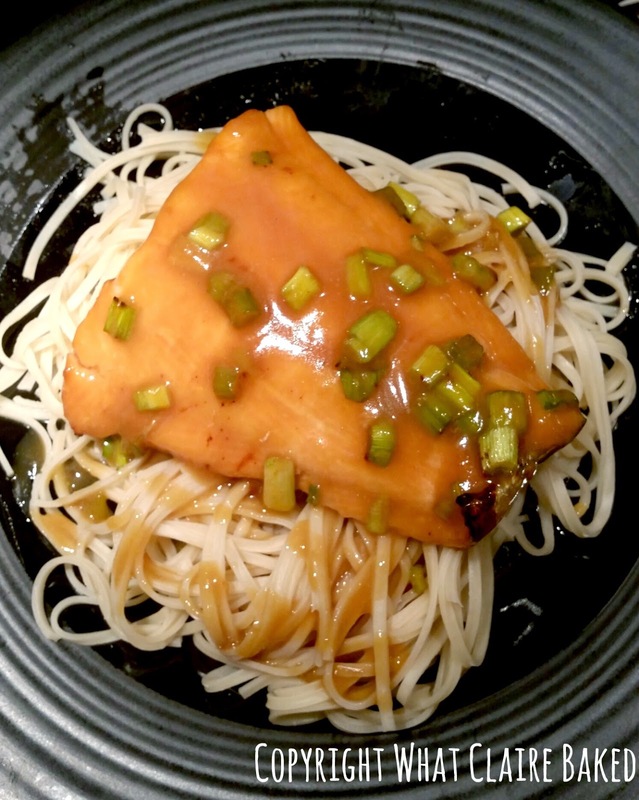 I made this gluten free salmon dish for dinner on Sunday… Mr WhatClaireBaked had no idea I’d substituted for gluten free ingredients. It also gave me the chance to experiment with the gluten free flour blend I’d received a few months back from The Gluten Free Market. They are an exclusive UK importer, wholesaler and retailer of a gluten-free flour blend made from peas and other gluten-free grains by Hraška, a popular brand in continental Europe. I wasn’t sure how best to use my flour blend, but decided to go for a sauce thickener (like a substitute for cornflour). I’ve no doubt this product would be a godsend for someone who’s coeliac. I was thinking about the number of casseroles, sauces and dishes I make where I throw flour in as a thickener and I believe this is the perfect substitute. This simple salmon dish can be ready in 30 minutes (longer if you marinate the salmon) and is adapted from a Coles recipe. 2. 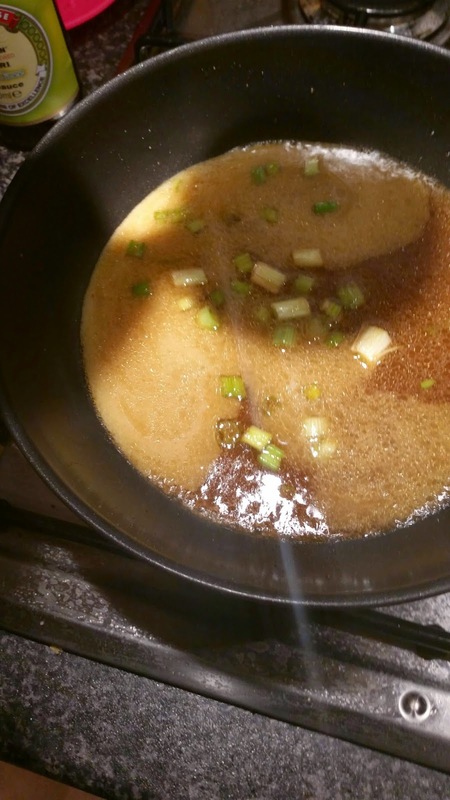 Mix all your marinade ingredients in a bowl, whisk up until combined (soy sauce, sesame oil, orange juice, honey, garlic). 3. 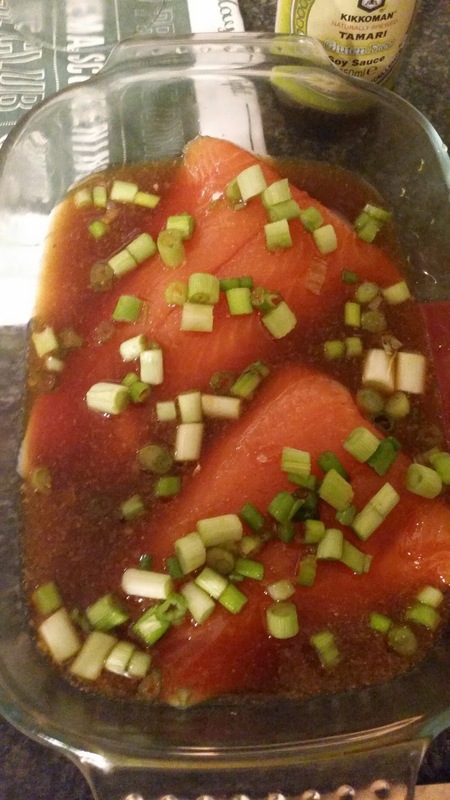 Put the salmon in an oven proof dish and coat with the marinade. Chill in the fridge for around an hour, or if you are turning the marinade into a sauce, transfer to the oven and bake for 17 minutes. Sprinkle the spring onions on top before baking. 4. 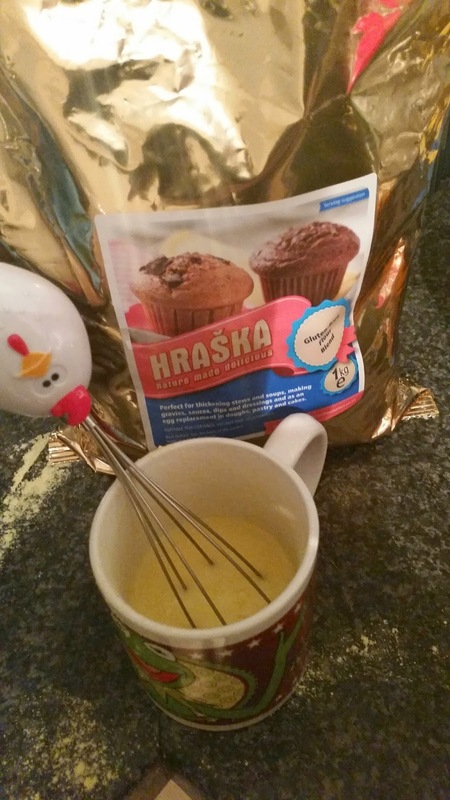 Take your Hraška gluten free flour blend and transfer to a cup, add a little cold water and mix to combine, keep adding water until it’s gone into liquid form (like a cornflour consistency). Whisk until there are no lumps in the mixture. 5. When your salmon is ready, remove the dish from the oven and transfer the marinade to a small pan. 6. Cook the noodles in a pan of water. 7. Keep stirring and cooking the marinade over the heat until it becomes a sauce which has thickened to your desired consistency. 8. Drain the noodles and plate up. Remove the salmon from the oven and place on top of the noodles. Serve the sauce on top of the salmon. Disclaimer: I received the gluten free flour blend free from Gluten Free Market, to experiment with. Any opinions expressed are my own.